The cost of the construction of the stadium in the late 19th century was £16,700 however when worked out in todays prices that amounts to a staggering £25 million! Aston Villa are the only club team that have played at Villa Park although this is not Villa’s first ground. That honour belongs to the long bulldozered Perry Barr Wellington Road stadium that amongst other problems had an uneven pitch and overpriced rents. The current capacity is 42,680 although the record attendance was a mind boggling 76,588 that turned out for an FA Cup 6th round tie against Derby County, yup that’s right against Derby County! The highest attendance in the all seater era was 42,788 on 29 December 2009 in a Premier League game against Liverpool. The highest average post Second World War attendance at Villa Park was 47,168 in the 1948–49 season, while the lowest average post-war attendance was 15,237 in the 1985–86 season. Older generations will remember Villa Park as being a significant venue for the 1966 World Cup in England where the stadium hosted three matches. In fact FIFA only selected Villa Park to host three group matches on the condition that the Witton Lane Stand be upgraded to being all seater. Firstly Argentina beat Spain 2-1 on July 13th in front of 48,000 with Artime scoring the winner for the Argentinians with just 11 minutes left on the clock. Then Argentina and West Germany battled out a ferocious 0-0 draw three days later when the Argentinian Albrecht (funny enough the man with the German name) was sent off and Argentina were first famously classed in the media as ‘animals’. Finally on the 20th July Spain played West Germany with the Spanish needing to win the match to progress from the group stages to the knockout stages and took an early lead through Fuste. Unfortunately Emmerich was to equalize shortly before half time and Seeler scored a 63rd minute winner for the Germans as West Germany beat Spain also by two goals to one. Not one of Spain’s luckiest grounds then and they were out of the World Cup. A lovely fact from the music world is that Stephen Duffy – Duran Duran founder and famous for his song Kiss Me in the 80’s under the alias Tin Tin and later the Robbie Williams collaborator is a Villa fan. So is the even more famous violin star Nigel Kennedy now living with his wife in Poland. The two of them collaborated on an album (not Kennedy and his wife silly – Duffy and Kennedy) called Music In Colours that contains various references to Aston Villa including the song Holte End Hotel. This leads us on nicely to Villa Park’s four stands of which Holte End is the one the song is named after. In 1897, Aston Villa moved into the Aston Lower Grounds, a sports ground in the former grounds of Aston Hall, a Jacobean stately home. The stadium has gone through various stages of renovation and development, resulting in the current stand configuration of the Holte End, Trinity Road Stand, North Stand and the Doug Ellis Stand. 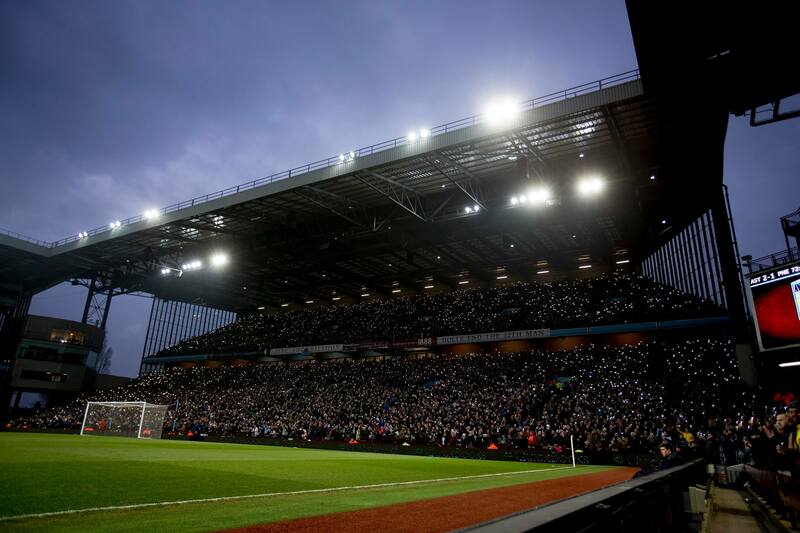 The club has initial planning permission to redevelop the North Stand, which will increase the capacity of Villa Park from 42,682 to approximately 50,000. The Doug Ellis stand is named after the former Chairman of the club. In the nineteenth century though the Lower Grounds had seen varied uses over the years. Originally the kitchen garden of Aston Hall’s owner Sir Thomas Holte, the man who gave his name to the Holte End stand, it later became a Victorian amusement park complete with aquarium and great hall. The current pitch stands on the site of the Dovehouse Pool, an ornamental pond drained in 1889. In place of the pool the owners of the Lower Grounds built a cycle track and sports ground that opened on 10 June 1889 for a combined cycling and athletics event that drew an estimated crowd of 15,000. Negotiations continued for two years before the Villa committee reached agreement with the site’s owner, Edgar Flower, to rent the Lower Grounds for £300 per annum on a 21-year lease with an option to buy the site at any point during the term. The first match at the ground, a friendly against Blackburn Rovers, took place on 17 April 1897, one week after Aston Villa had completed the League and FA Cup ‘Double‘. For the record Aston Villa won the match 3-0. Lots of minor changes was made to the stadium over the next 70 years with the idea at one point to turn the Stadium into a 130,000 venue just before the war but due to the war itself this idea was shelved and the stadium underwent it’s next major change in 1976 when a new North Stand opened in place of the Witton Lane End. The new stand led to heavy debts though, and no further changes were made until the 1990s. In 1993 the new Doug Ellis Stand opened, followed by the demolition and reconstruction of the Holte End. The transformation of the stadium into an all seater was completed when the North Stand was fitted with seats. As well as the 1966 World Cup, Villa Park hosted three group matches and a quarter-final during the 1996 European Championships and three years later it hosted the last ever European Cup Winners’ Cup final between Real Mallorca and Lazio Roma that the Italians won by 2 goals to 1. In 2000, the classic Trinity Road stand from the 1920s got demolished and replaced by a new stand. 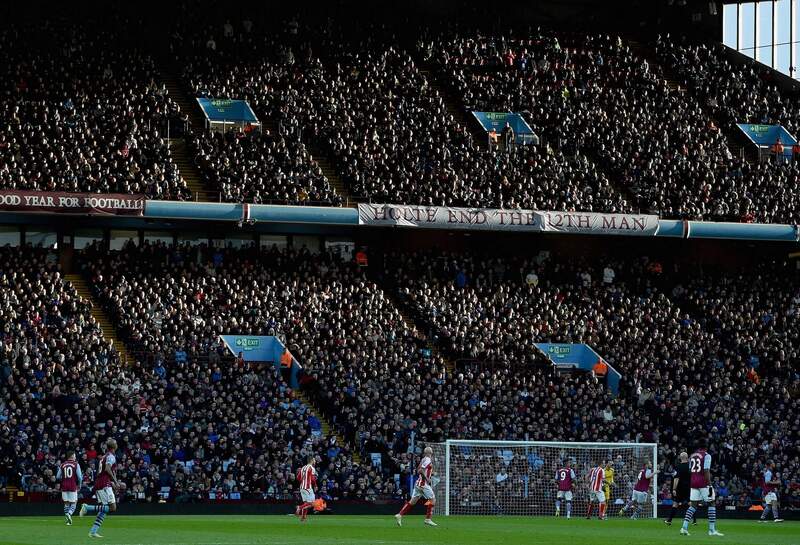 In recent years tentative plans have been made to expand the stadium to a capacity of 50,000 by rebuilding the North Stand, but its is unlikely that these will be executed any time soon particularly as life is not going well on the pitch at the current time for the Villa. Let’s hope these plans do come to fruition for Villa Park, as 50,000 would see a wonderful stadium with a fantastic history expanded.